A Montgomery County police officer was killed this past week when he was struck from behind by an alleged drunk driver at a sobriety checkpoint. The young officer’s tragic death has renewed debate whether Maryland’s DUI and DWI laws are strict enough, as alleged drunk driver had multiple prior alcohol related driving offenses on his record. Many have question whether he should have legally been behind the wheel in the first place. Montgomery County spends a great deal of resources to combat DUI, and the drunk driving awareness signs along 495, also known as the Capital Beltway, aren’t just for show. County and state police officers often patrol that stretch of road and others near it to specifically target impaired drivers in areas such as Bethesda, Rockville, and Gaithersburg. These efforts have paid off with upwards of 4,000 drunk driving arrests per year, but it only takes one tragedy to raise the question as to whether law enforcement efforts are enough, or if assistance is needed from lawmakers. Unlike three of our bordering states, Maryland does not require first time offenders convicted of an alcohol related traffic offense to install an engine interlock device on their car. These devices prohibit a driver from starting the engine without giving an alcohol free breath sample. 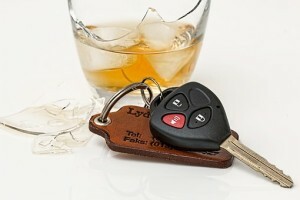 Alcohol on the driver’s breath will prohibit him or her from driving, and could also trigger a probation violation. Some also disagree with the general statewide trend that most first time offenders walk out of court with probation and fines rather than jail time or intensive treatment. But these complaints are not realistic, as Maryland is about average when it comes to the strictness of its drunk driving laws. In some states such as New Hampshire and Ohio a first offense for an alcohol related driving violation does not even carry the possibility of jail time. In Maryland a first DUI can carry as much as a year in jail, with is on par with stricter states such as Florida. And depending on the time frames a second offense can also carry a mandatory minimum jail sentence, which many judges around the state are inclined to exceed. Anti drunk driving organizations are some of the most powerful lobbies in the country, with groups such as MADD and SADD working tirelessly increase the strictness of DUI laws. This is a unique phenomenon, as there are almost no organizations that exist to combat common crimes such as robbery, assault, and theft. We are only recently seeing the emergence of similar organizations that exist to combat domestic violence. There is clearly a concerted effort to battle drunk driving, but as long as bars and restaurants continue to serve everyone’s favorite drinks, and liquor stores keep their shelves stocked it will continue to be an uphill battle. It hardly serves the greater good to throw first time DUI offenders in jail, and engine interlock devices will never be able to prevent a convicted drunk driver from simply getting behind the wheel of another car. Lobbyists and law enforcement should continue to focus on education, especially of teenagers and young adults about the dangers of impaired driving. These groups should strive to develop innovative ways to get their important message across because the classroom speeches and presentations unfortunately do not always strike a chord. The Blog will follow the emergence of any DUI and DWI related proposals in the upcoming legislative session, and we will certainly post an article if anything significant comes out of Annapolis. Benjamin Herbst is a DUI lawyer in Maryland, who handles all types of traffic citations and specializes in representing out of state clients. 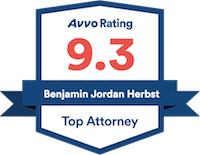 Contact Benjamin for a free consultation about your state or federal citation or criminal case anytime at 410-207-2598. Calls for tougher DUI laws in Maryland after officer’s death, wtop.com.